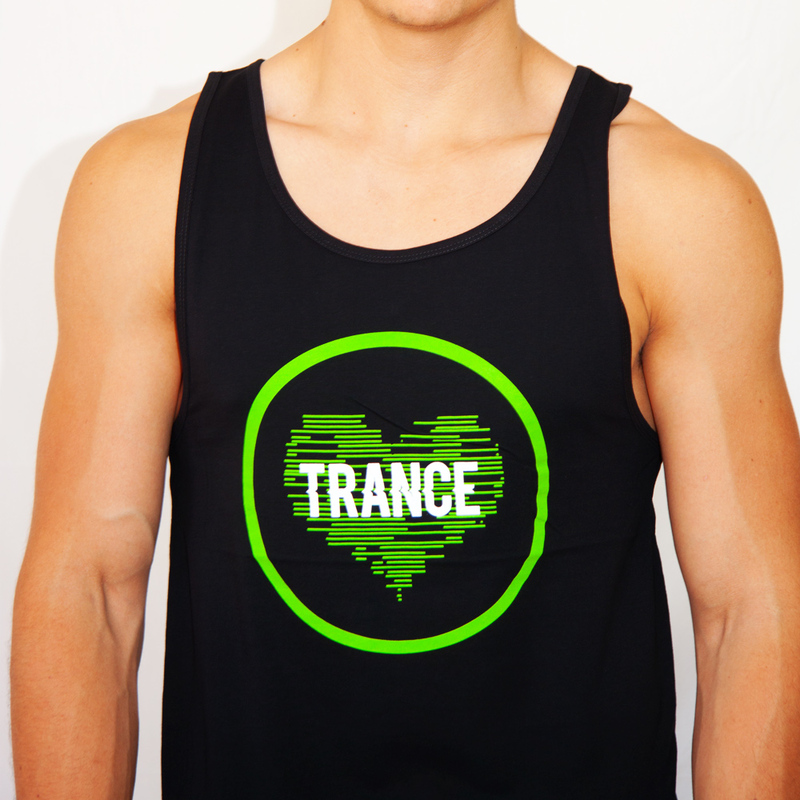 Trance Singlets – Available Now! The green Trance singlet has a lower neckline and a slight drop tail at the back. Show your love for the music and get yourself this classic singlet, fit for trance music festivals.